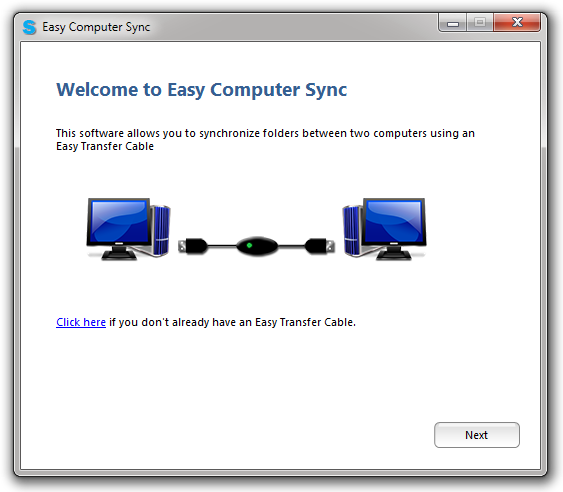 This is the welcome screen for Easy Computer Sync. If you don't already have an Easy Transfer Cable, it shows you how to get one. 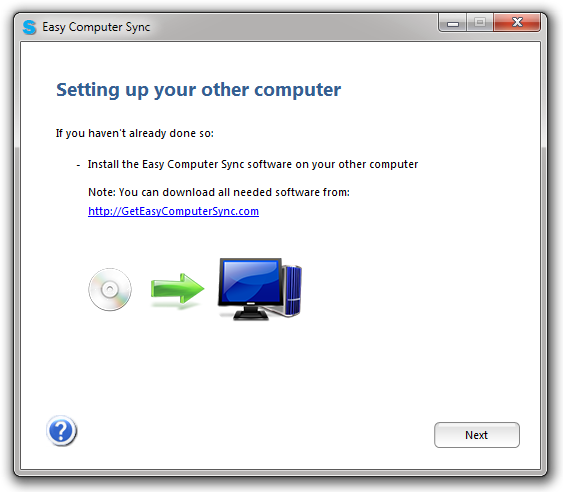 This screen reminds you to make sure Easy Computer Sync is installed on your other computer. It provides you with a link to download it as well. 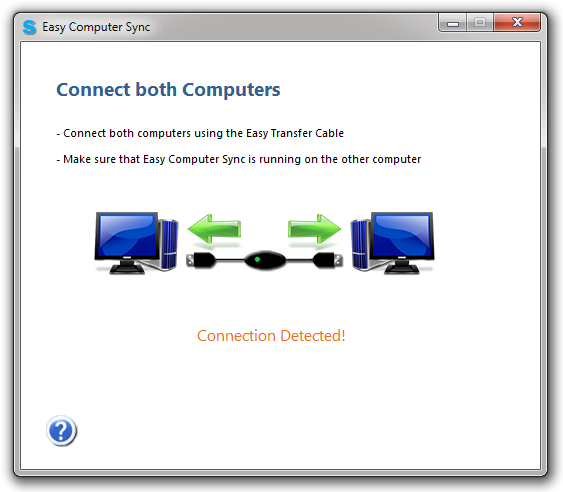 This screen prompts you to connect both computers using the cable. The connection status is shown at the bottom. Once the connection is detected, the status at the bottom changes to "Connection Detected", and the program automatically advances to the next screen. 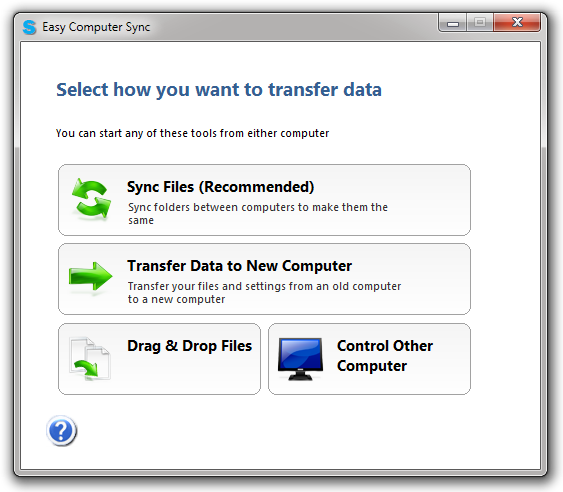 On this screen, you can choose from several ways to transfer data. 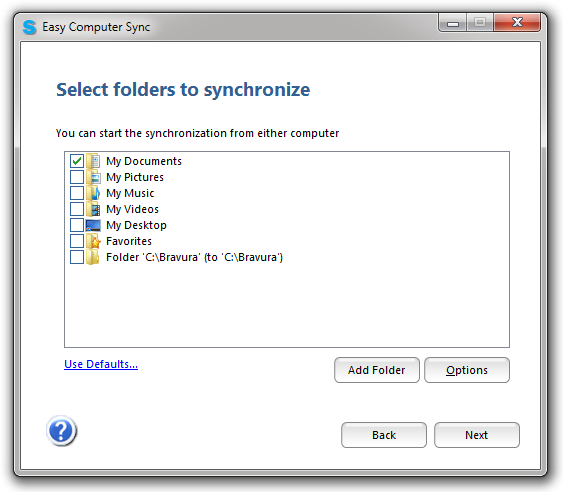 You can synchronize folders between computers, transfer data to a new computer, drag and drop files between computers, or remotely control the other computer's desktop. 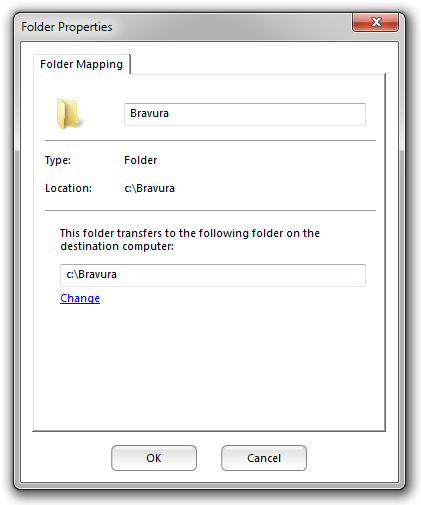 From the tools screen, if you click on "Drag and Drop", you will see this screen where you can drag and drop files between the computers. 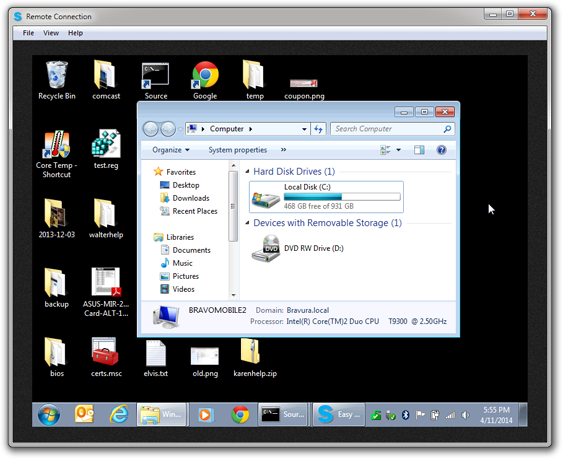 From the tools screen, if you click on "Control Other Computer", you will see this screen where you can control the other computer using your keyboard and mouse. 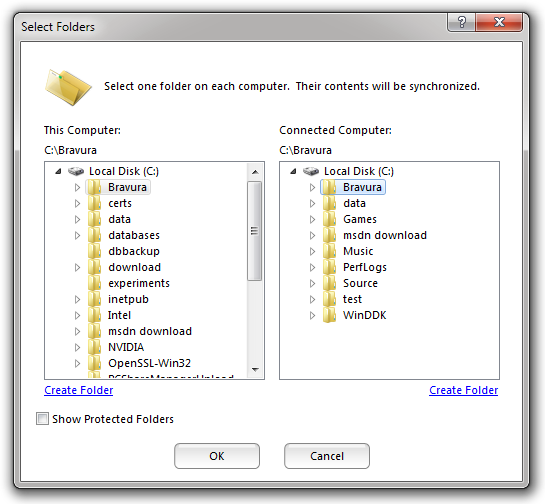 If you select "Sync Files" from the tools screen, you can then select the folders you would like to synchronize between computers (that is, make the same). 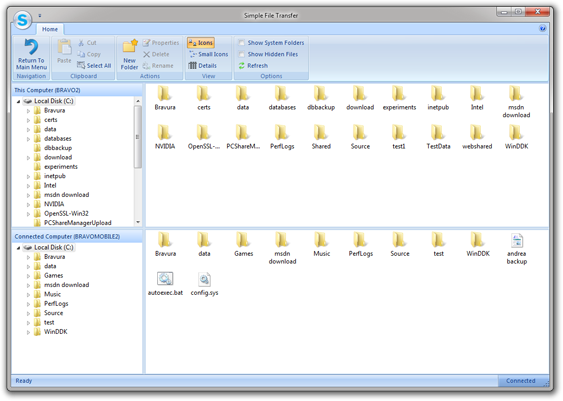 You can also choose to add a pair of folders to synchronize - one folder on each computer. 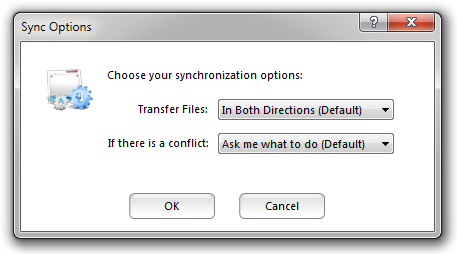 You can also adjust the synchronization options before proceeding. After clicking "Next" in the selection screen, the progress of the synchronization is shown. 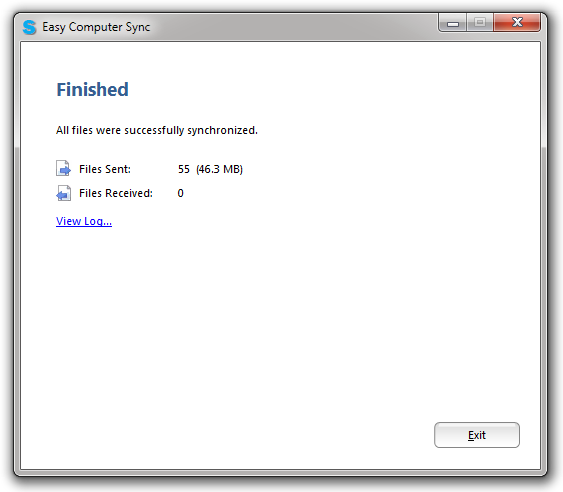 Once the synchronization finishes, Easy Computer Sync shows a brief summary of what was transferred. You can also view the full report, which shows every file that was sent or received. 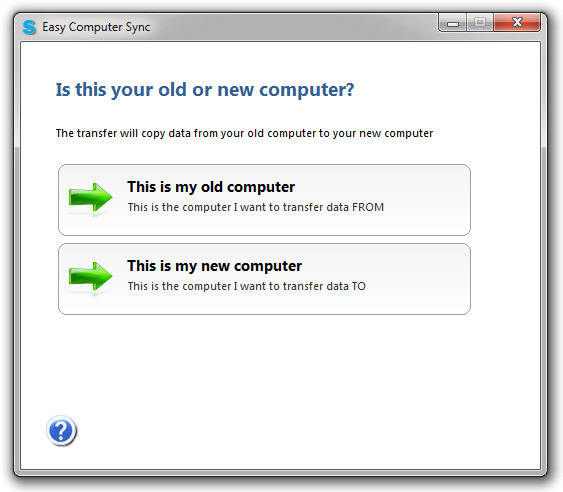 If you select "Transfer to New Computer" from the tools page, you will select if this is your old or new computer. This determines which direction files are transferred. 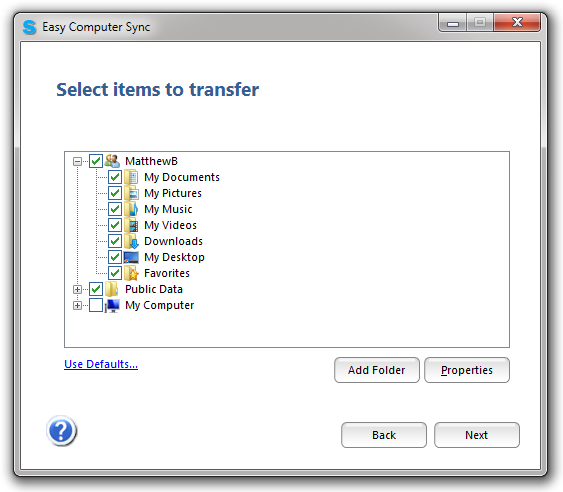 Easy Computer Sync will search for all items to transfer to your new computer. 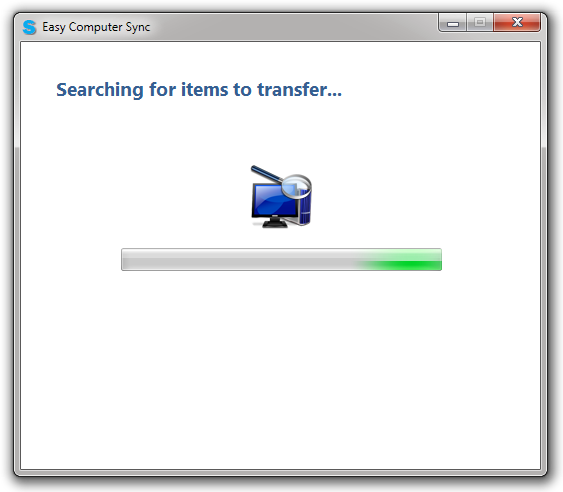 On this screen, you can select the items you would like to transfer to your new computer. Most items also have properties that can be viewed or changed using the "Properties" button. 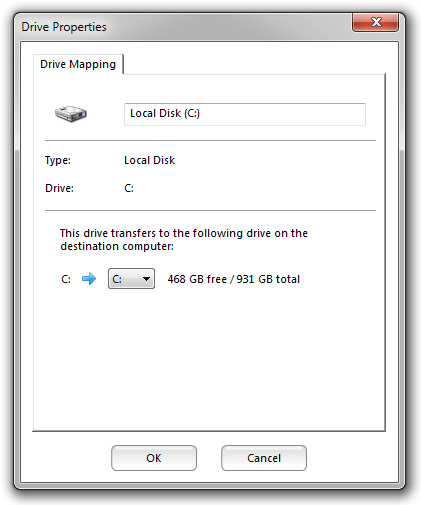 If you click on a drive in the transfer screen, and hit "Properties", you can select the drive on the destination computer to transfer to. 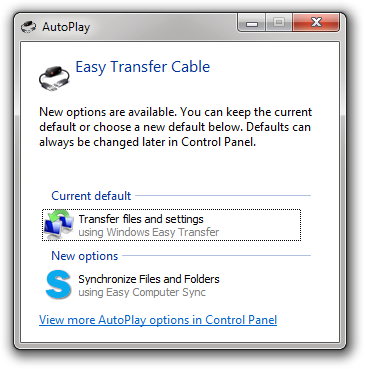 If you click on a folder in the transfer screen, and hit "Properties", you can select the folder on the destination computer to transfer to. 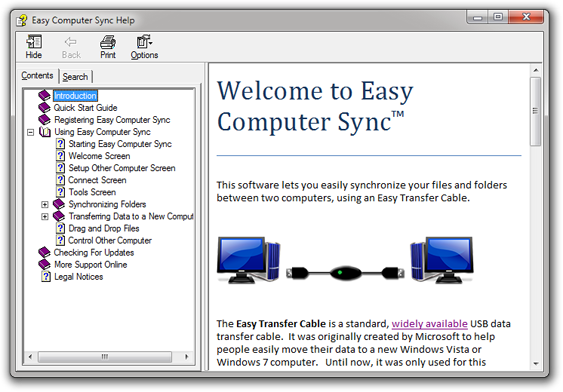 Easy Computer Sync also includes a comprehensive help system, and it doesn't require internet access. 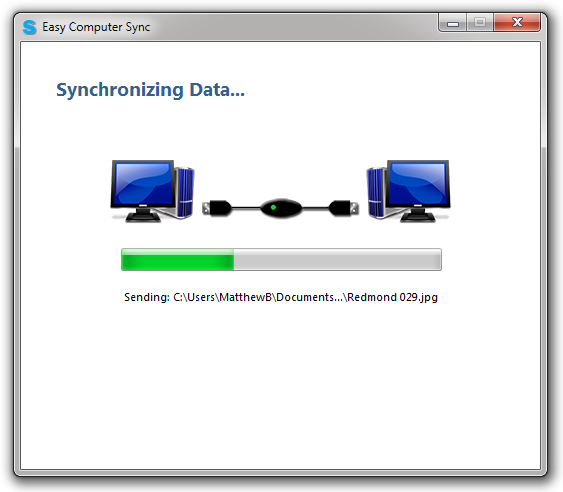 To start Easy Computer Sync, you can: 1) Use its desktop icon, 2) Launch it from the Start Menu, or 3) Plug in your Easy Transfer Cable, and launch it from the menu that appears (shown above).